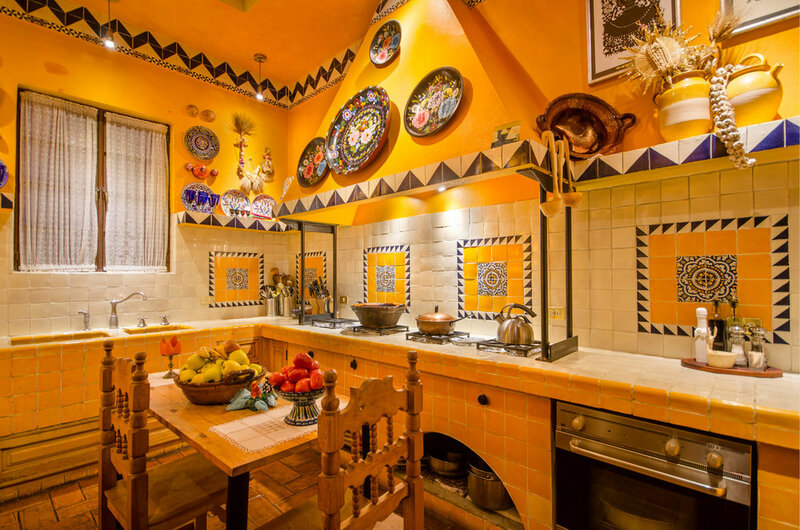 Casa Curtidores consists of a hillside lot with spectacular views of historic San Miguel de Allende, nestled in the Altiplano Region of Guanajuato, Mexico. Major project goals included incorporating views of the city from multiple locations and designing for indoor/outdoor living, which the climate allows. Movement throughout the house is considered carefully. The four story height reveals dramatic staircases that wind around the pathways. The circulation and patios are conceived together to offer expansive views of the city below, sunsets, views of the neighboring mountains. Architectural elements emphasize the use of locally-sourced materials and serve as a background to the colorful ephemera of Mexican culture.